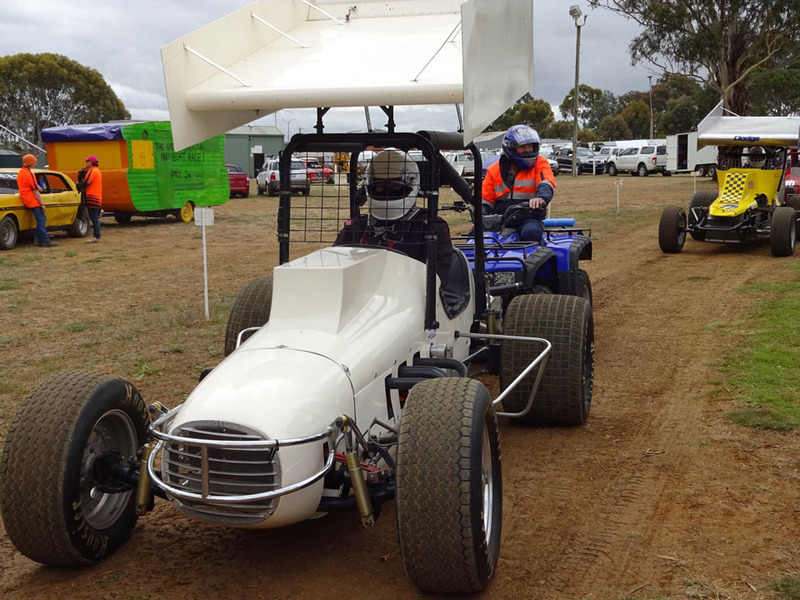 VICTORIAN CLASSIC & VINTAGE SPEEDWAY CLUB INC.
350 Chev Hilborn fuel injected engine. 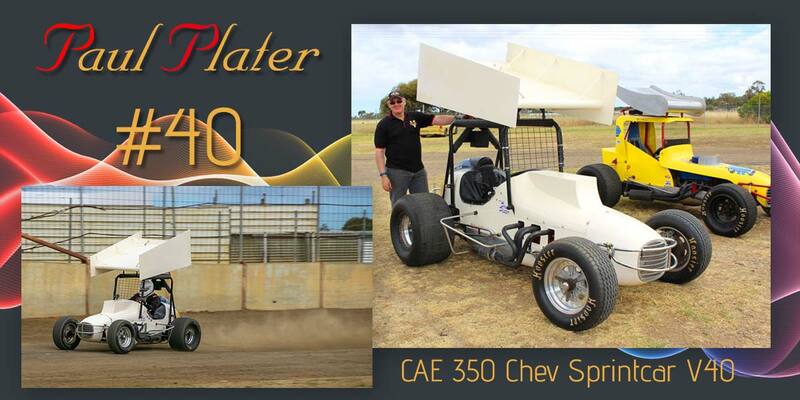 Paul Plater owns and drives the No. 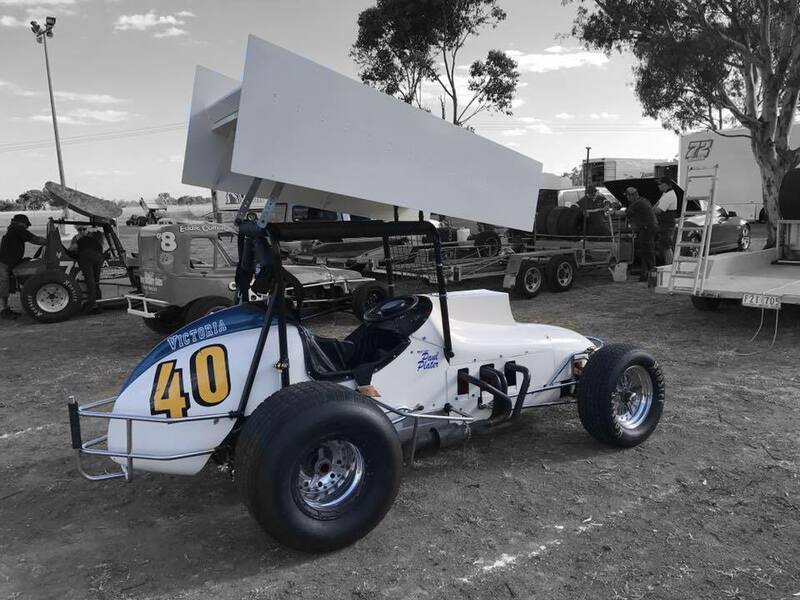 V40 Sprintcar. The car is equipt with a Chevy 350 motor, with Hilborn Fuel Injection. 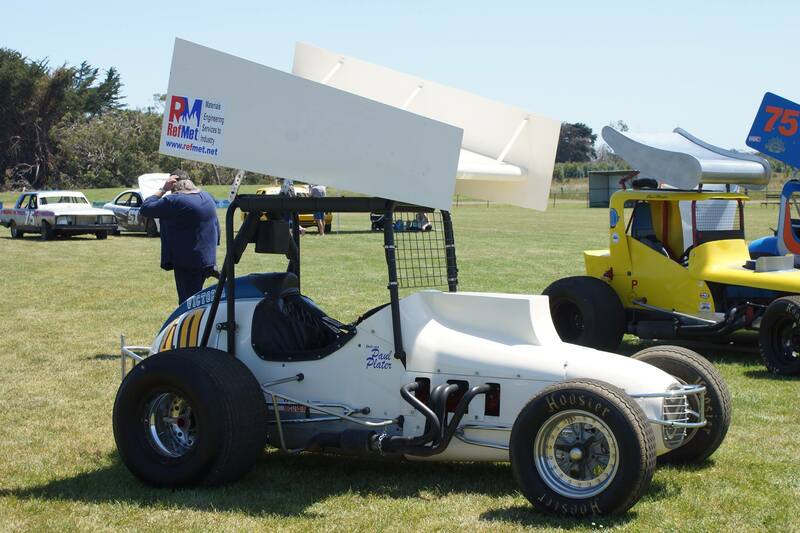 CAE sprintcar chassis and body with a modified bonnet to cover injector stacks, modifications done by John Doidge and Steve Bowen. Originally built in NSW, Original Owner unknown. 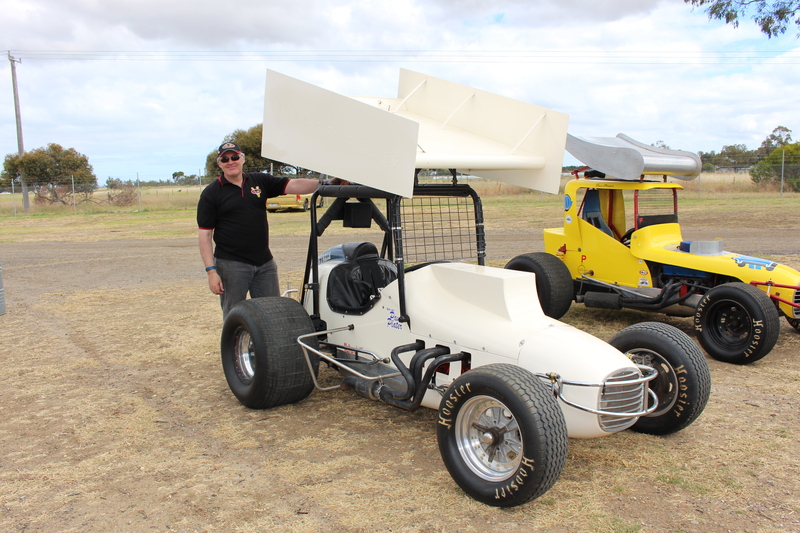 Unusual feature: The car has previously run a Chrysler slant 6 in NSW, a variety of Rambler Engines with John Doidge, a small block Chev with John Doidge and John Little, and an Oldsmobile with Steve Bowman. History: 1972-73 Owner/driver unknown. 1974-80 Vic40 John Doidge, 1981 onwards VSC Limited Sprintcar with Steve Boman and then John Little. 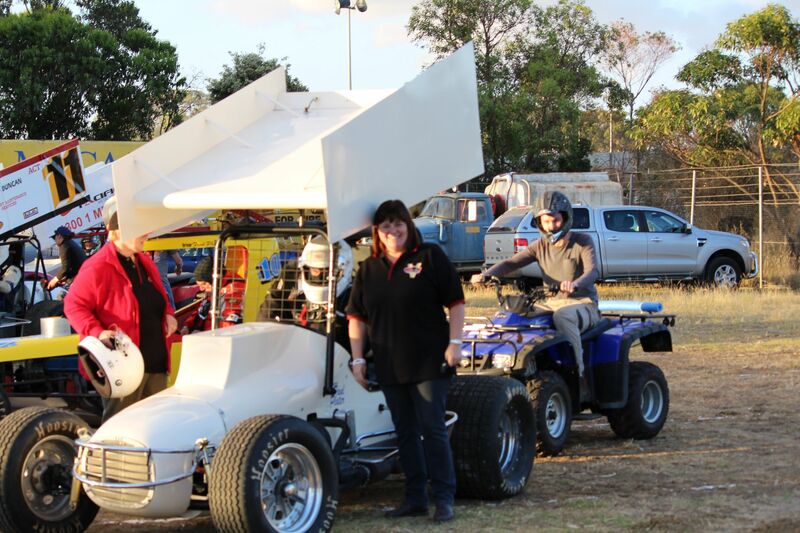 The car has been raced at Brooklyn Speedway, Premier Speedway, Swan Hill Speedway and Bendigo Speedway. Fred is the President of the VCVSC, and his Wife, Angela is the Secretary, both put an amazing amount of time and effort into the club, building it into a fantastic place for enthusiasts to share their passions, and enjoy the magic of the old time vehicles. New Members are most Welcome. Owners, Drivers and Enthusiasts. Please call, email or simply drop into a meeting, we would love to hear from you.